🏒 Good Wednesday morning. NHL playoffs begin today, with the Washington Capitals defending the Stanley Cup. To repeat, it'll take four series wins — 16 victories. Vladimir Putin mocks the Mueller probe: "A mountain gave birth to a mouse." 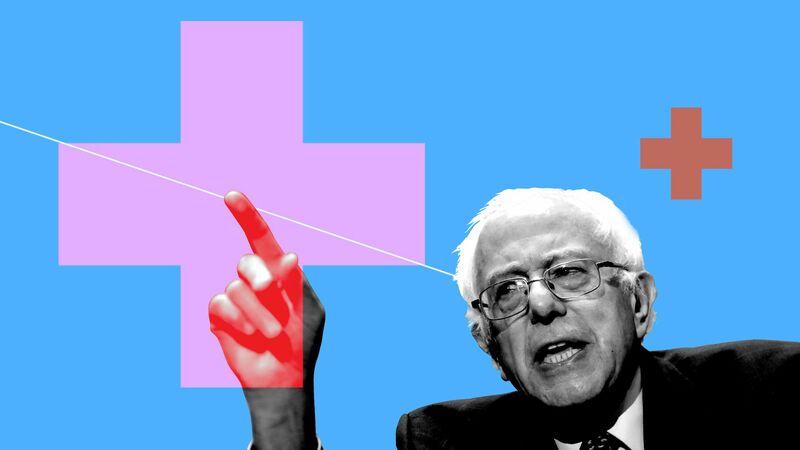 1 big thing: How your care would change under "Medicare for All"
Bernie Sanders' "Medicare for All" push, which he'll renew today at 11 a.m., has upended Democratic politics almost as thoroughly as it would upend the health care system, Axios health care editor Sam Baker writes. Happening today: Sanders will introduce a new version of Medicare for All today that's even more ambitious than his last one — which was already more ambitious than any other health care system on Earth. If something like Sanders’ bill did become law, it would "leapfrog the rest of the world," as the Kaiser Family Foundation’s Larry Levitt put it. Four of Sanders' fellow senators and rivals for the nomination (Cory Booker, Kirsten Gillibrand, Kamala Harris and Elizabeth Warren) are set to sign onto his plan, AP reports. We'd just pay for it differently. Today's hodgepodge of premiums, copays and state and federal spending would all be rolled into one federal, taxpayer-funded program. We're also an outlier among other rich countries because we don't guarantee coverage to everyone. Be smart: Sanders' plan would need several political miracles to pass, especially in this pure form. 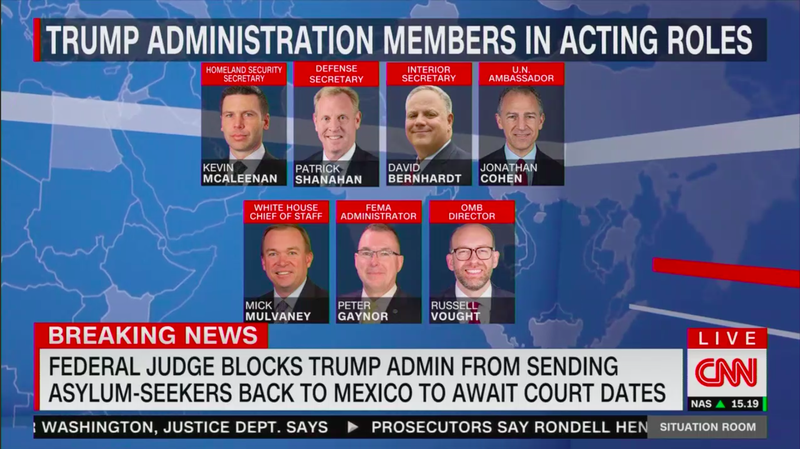 The seven officials in top "acting" roles in President Trump's administration are all white males, with an age range of 43 to 59, Axios' Zach Basu reports. Half the women are gone from Trump's Cabinet, leaving (with vacancies) 13% women in Cabinet-level roles, per CNN. The International Monetary Fund, holding its spring meeting in Washington this week, lowered its global growth forecast — the lowest forecast since the financial crisis, Axios markets editor Dion Rabouin reports. Why it matters: It's a stark reversal from the "synchronized global growth" the IMF had jubilantly welcomed just two years ago, and even a departure from last year's wistful optimism. A year ago, economic activity was accelerating in almost all regions of the world. "One year later, much has changed," said Gita Gopinath, IMF's economic counselor and director of research. "This is a delicate moment for the global economy." Be smart: The IMF's rosy economic projections relied on politicians avoiding "costly policy mistakes" and "work[ing] cooperatively." Globally, politicians have been doing just the opposite. 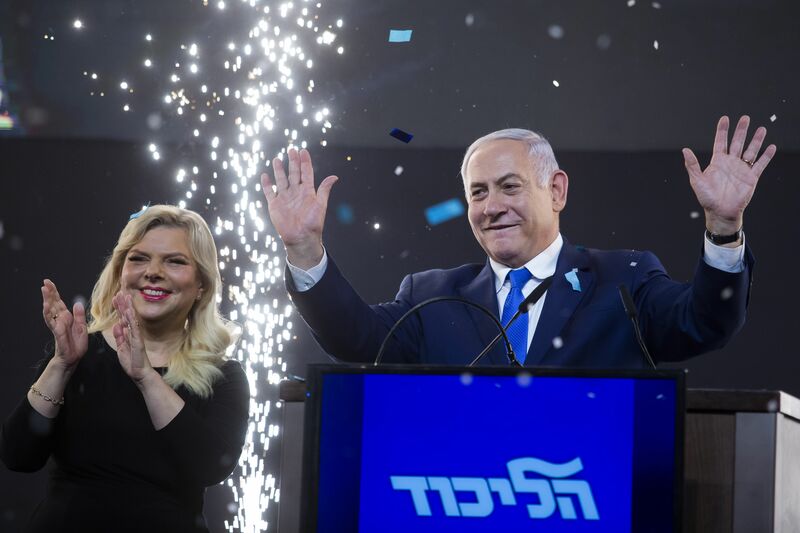 Israel's Prime Minister Benjamin Netanyahu declared a "tremendous victory" in the country's tight election race, Barak Ravid of Israel's Channel 13 news writes for Axios. "Netanyahu’s conservative Likud party looked likely to muster enough support to control 65 of the Knesset’s 120 seats and be named to head the next coalition government — a record fifth term as premier," per Reuters. The "personal space" uproar has left Joe Biden undeterred: He plans to announce his White House run toward the end of April (likely after Easter, which falls April 21), friends say. "Joe knows the field will try to crush him once he announces and he is totally prepared for it," one associate said. 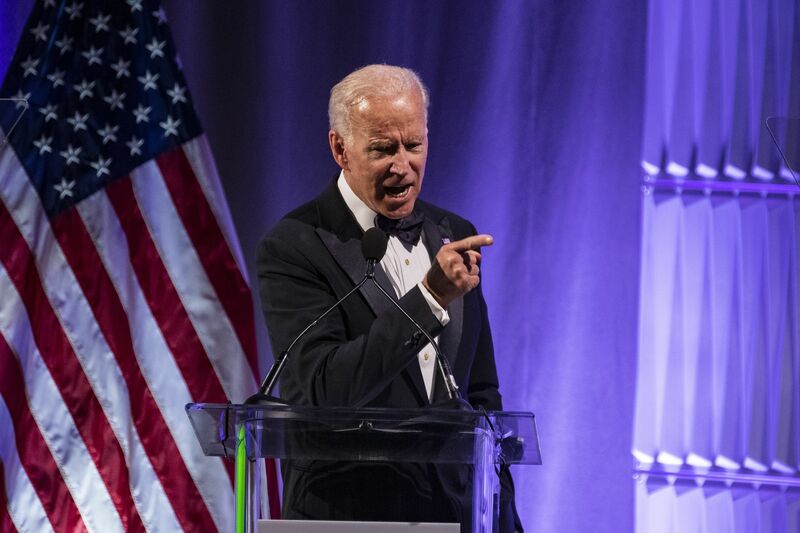 Biden plans a couple of big speeches after his announcement, to build a substantive bulwark aimed at defusing claims he's a man out of time. China, India, a nonprofit from Israel and a number of private spaceflight companies are all working to launch and land spacecraft on the moon. What's new: As apps to monitor moms' health proliferate, employers and insurers can pay to keep tabs on the vast data, the WashPost's Drew Harwell reports. "Period- and pregnancy-tracking apps ... have climbed in popularity, ... and many expectant women check in daily to see, for instance, how their unborn babies’ size compares to different fruits or Parisian desserts." Why it matters: An employer can pay "to gain access to the intimate details of its workers’ personal lives, from their trying-to-conceive months to early motherhood." How it works: Employers can pay an app developer to offer workers a special version that relays health data in "de-identified," aggregated form, per The Post. Companies say the data can help minimize health care spending and discover medical problems. 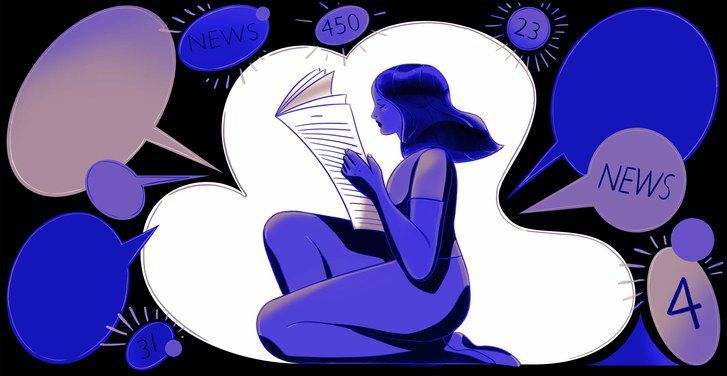 In the recent book "Slow Media: Why 'Slow' is Satisfying, Sustainable, and Smart," the journalist and media scholar Jennifer Rauch traces a movement that began to coalesce about a decade ago. In 2010, a document called "The Slow Media Manifesto" was published, online, by Sabria David, Jörg Blumtritt, and Benedikt Köhler — a trio of Germans with backgrounds in media and technology. It urged both journalists and readers to draw inspiration from the Slow Food movement, which emphasizes quality and timelessness. "Slow Media are not about fast consumption but about choosing the ingredients mindfully and preparing them in a concentrated manner," the authors wrote. 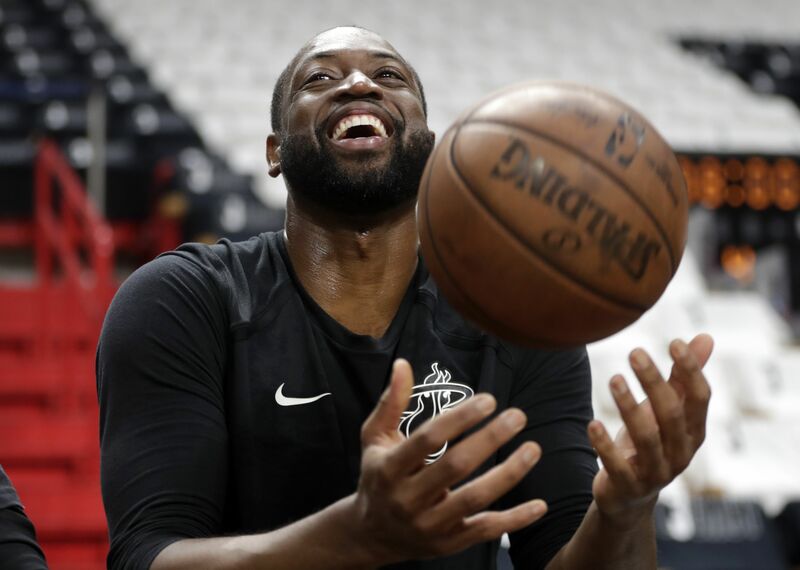 After a legendary 16-year NBA career, Dwyane Wade will play his last game tonight when the Miami Heat close the season in Brooklyn (no postseason!). "Fans came early and stayed late, chanting his name. His wife slapped his backside in recognition of his making a 3-pointer. He crashed into John Legend and Chrissy Teigen, dousing them with a beverage. He slipped twice as he tried to make his signature leap onto a courtside table postgame." "And the Miami Heat won, beating the Philadelphia 76ers 122-99."